The GitLab and Clubhouse integration is now available! We’re excited to announce that our GitLab integration is now live! 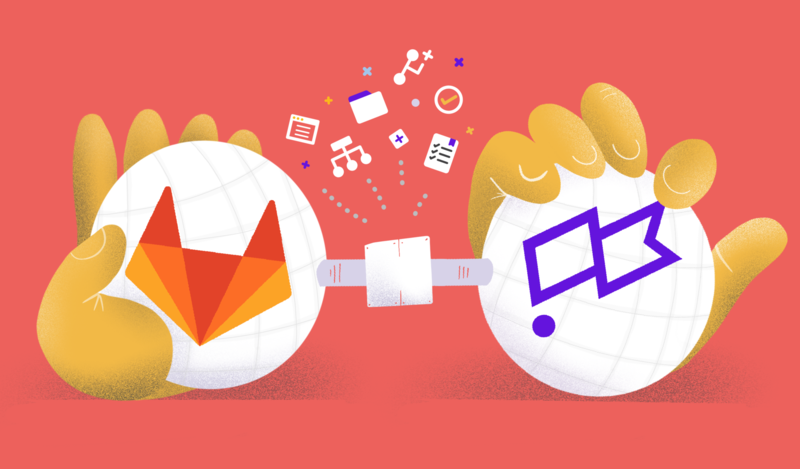 The Clubhouse integration supports both GitLab’s SaaS offering, GitLab.com, and the self-managed offering, GitLab (9.5 or higher). Now you’ll be able to associate merge requests, branches, and commits from a GitLab Project to a Clubhouse Story to save you time and facilitate easier collaboration throughout your organization. 1. Stay in your workflow with specially formatted commit messages. Associate a commit to one or multiple Stories for insight into work in progress, right in your Stories. 2. Work more efficiently with branch naming conventions to automatically connect your branch to a Story and track the status of the request for that branch. When a branch is associated with a Story, you can open a merge request from Clubhouse to make updates seamlessly. Associate a GitLab merge request with a Clubhouse Story. You can do this when the request is opened and after the fact. 2. Automatically update the Story Workflow States while working in GitLab using event handlers. Have the admin or owner of your Organization enable the integration and connect your GitLab account to your Clubhouse Workspace! Detailed instructions about how to set-up and use the integration can be found here.